I debated whether or not to do maternity photos for a while. Simply because I became discouraged and overwhelmed trying to plan it all. Not only could I not find anything to wear, but I also couldn't seem to find a photographer that had the aesthetic I was looking for at a reasonable price. 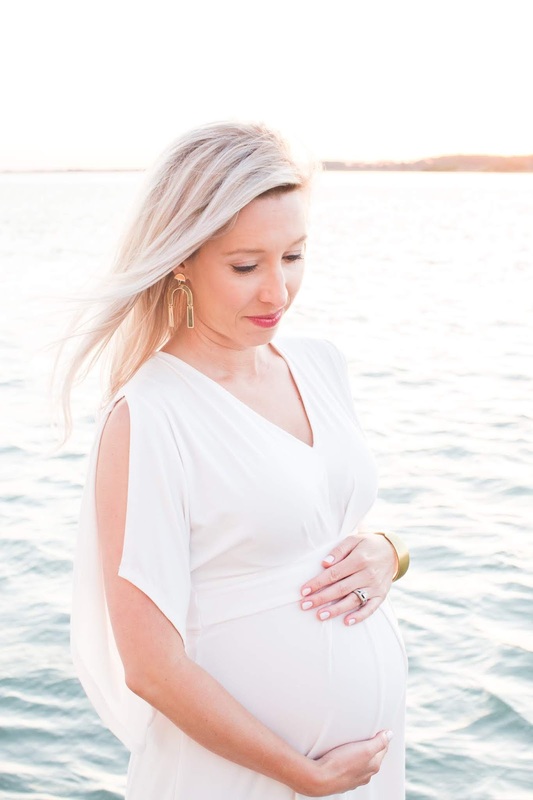 Giving it one last attempt, I was scrolling through Instagram one night and came across a beautiful maternity photo taken here in Charleston. I immediately clicked to see more and to find out who was behind the lens of this stunning photograph. That's how I discovered Meredith Hilleary Photography. I send her a direct message on Instagram and received a prompt response. Next thing I know, we had been chatting for an hour and she was sending me inspiration boards based on the the information she had so attentively gathered from me. Finally, someone with my same vision for classical coastal photos, someone whose passion for photography was clearly evident just through a few direct messages on Instagram. 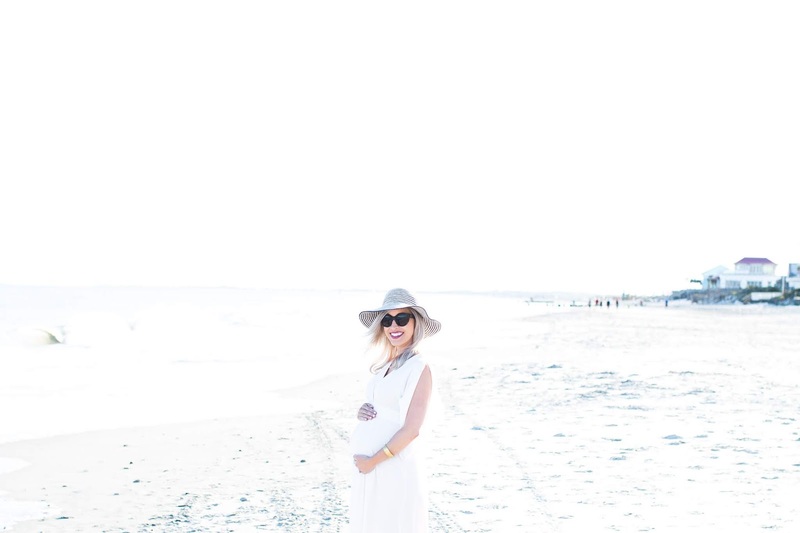 Meet Meredith, the wonderful photographer behind my maternity photos. The photos that I'm now so glad I ended up taking. 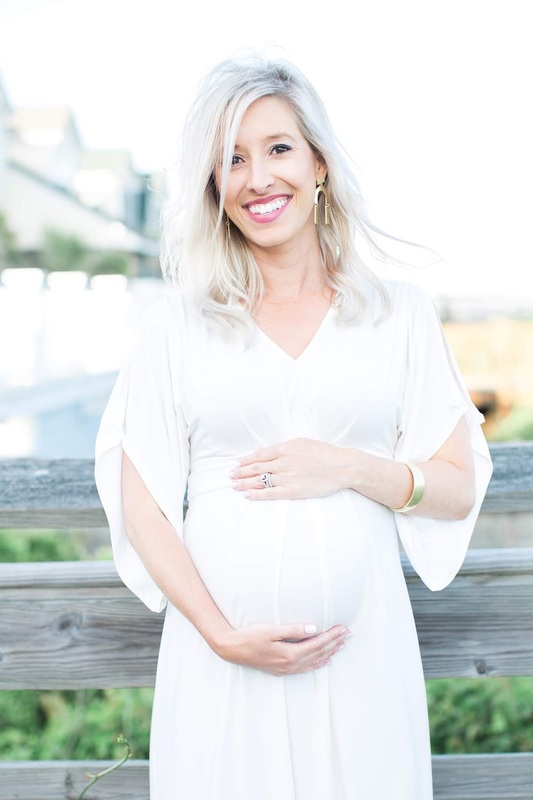 Meredith is based out of Savannah, GA but travels for sessions in Charleston, Hilton Head, Bluffton and the surrounding areas. 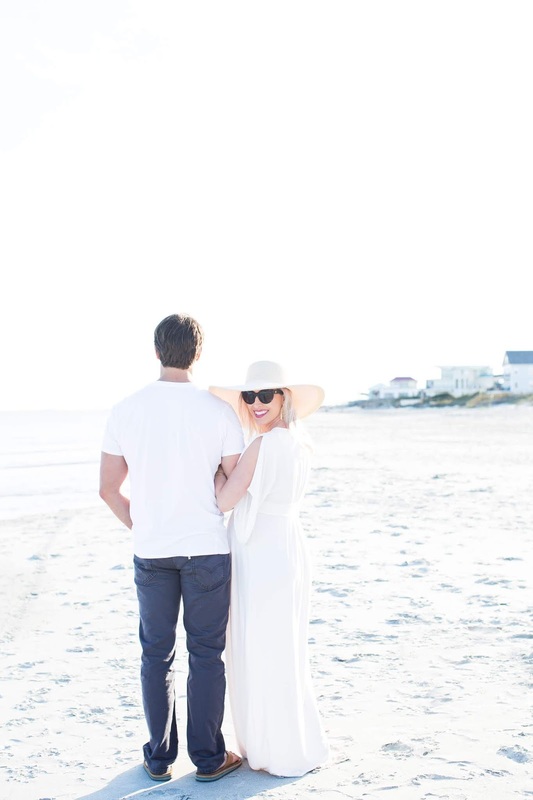 She has a passion for the lowcountry and eye for all of its beauty. 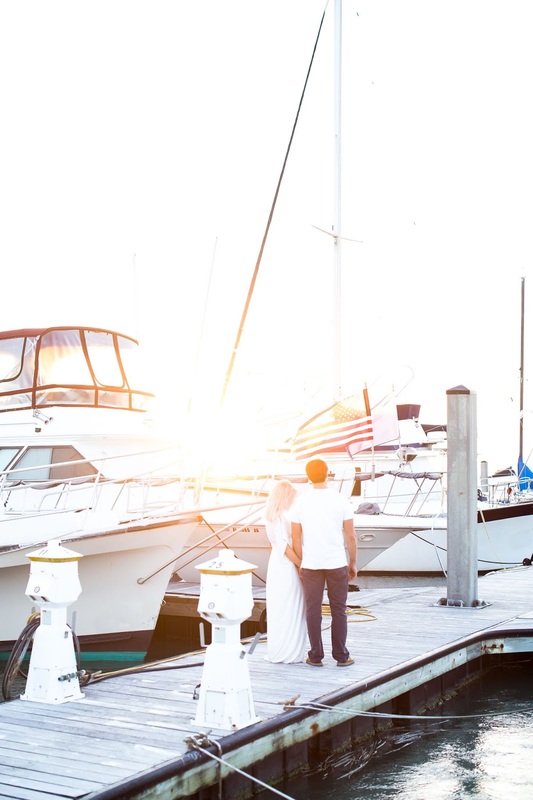 When I told her I wanted to take photos at a local marina, she was thrilled and we immediately started brainstorming. 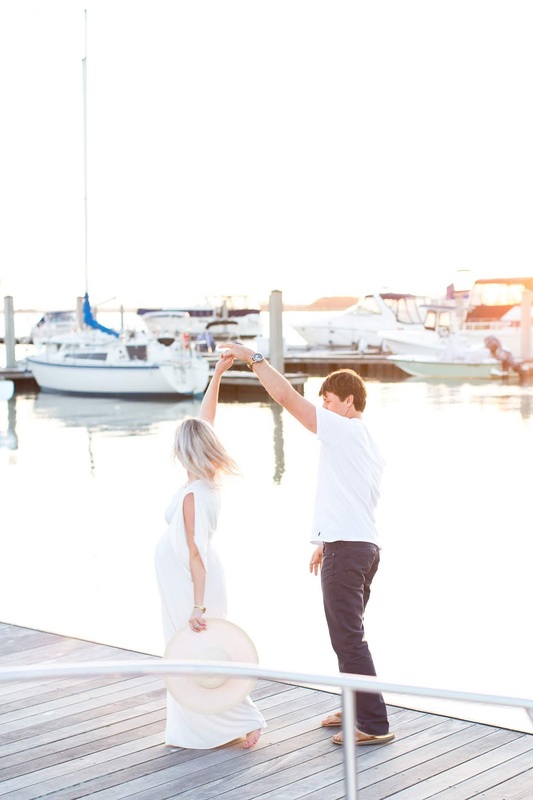 Whit and I love the water and spend a lot of time enjoying it, so incorporating it somehow just seemed right. I also considered going to a local plantation but the majority of our professional photos have been in similar settings, so this seemed like a good opportunity to change it up. 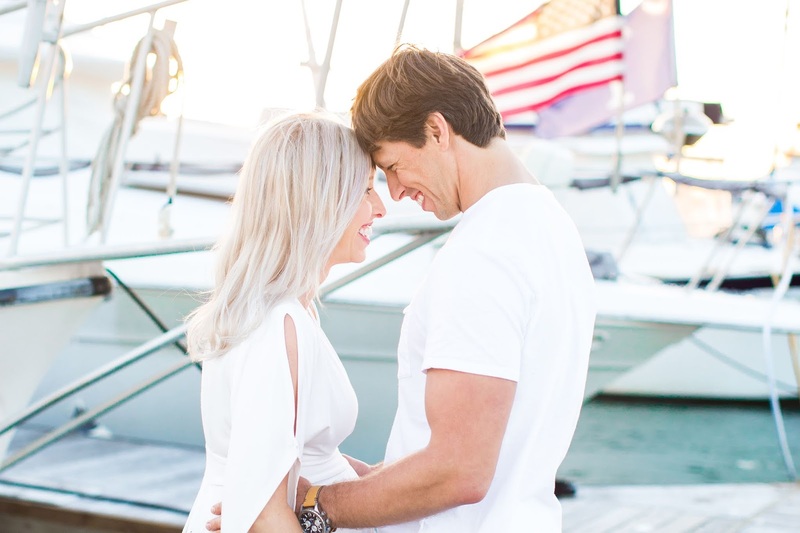 A few reasons why I love Meredith, aside from the beautiful photos she takes and her southern hospitality, she was able to get my husband to cooperate for the photo shoot. Her sense of humor and casual attitude seemed to provide the right distraction. Whit hates taking photos, especially scheduled shoots like this. In all fairness he hasn't had to do anything like this since our wedding, which was almost five years ago. I hate to break it to him but we have to do it all over again in just a few short weeks after our son is born. Meredith has a way of making you feel comfortable in front of the camera which assists in getting those natural shots. When searching for a photographer, one of the most important things to me is working with someone who gives direction. I think it's so important that a photographer take the lead and be prepared so no time is wasted. In an effort to get all of the shots Meredith and I had discussed that were meaningful to me, she brought a handful of printed examples to make sure we didn't miss anything. 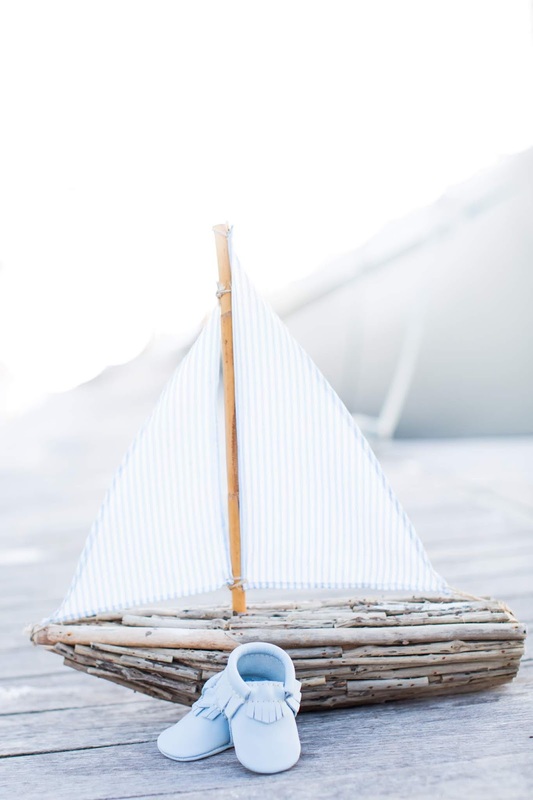 She also brought some cute little props (like this sail boat) to use for a few styled shots and to assist in telling our story. Her portfolio with other examples can be seen here. I think it's a bonus that Meredith is also a mom and has an understanding for the experience and photos a first time mom like myself would like to have. She was so thoughtful and had put together a little gift basket for me that include a bottle of water, a snack bar, a coffee mug and two hand painted oyster shells — one for me and for our little nugget. 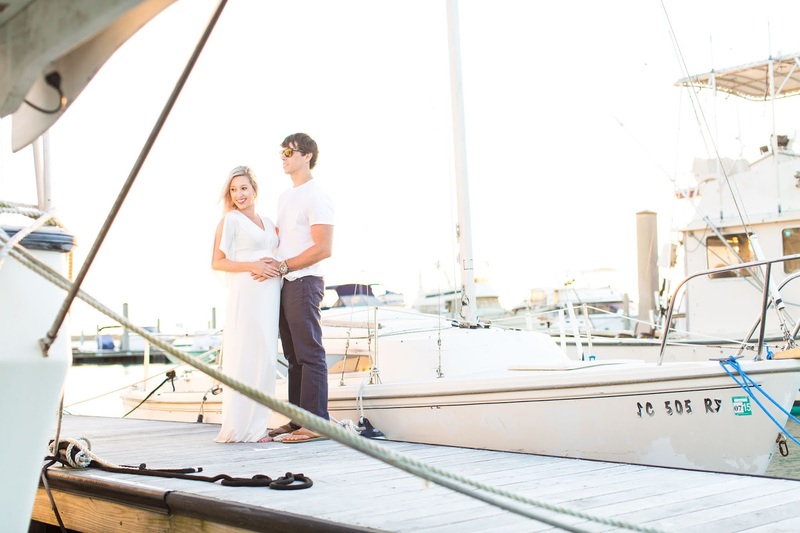 We took advantage of the beach being right near the marina and snapped a few photos there too. 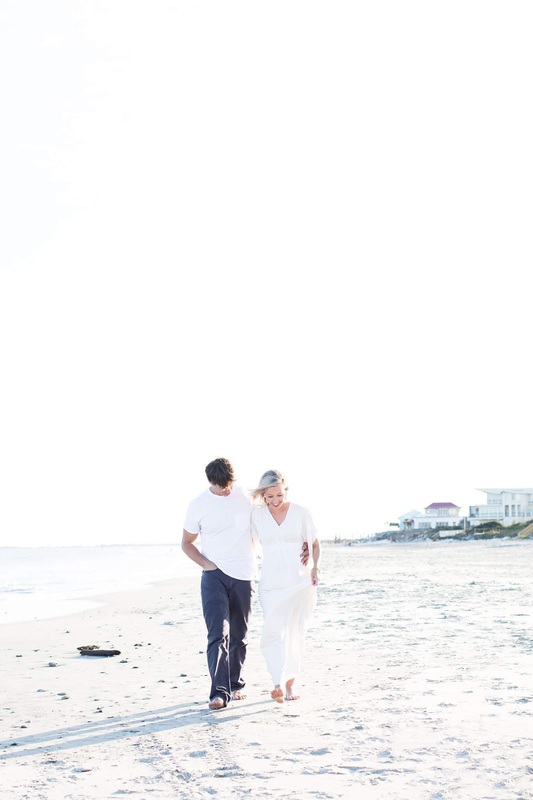 I wanted that bright white effect in the photos and that's exactly what she was able to capture. My mom was there with us the whole time so it was nice to be able to get a few with her as well. I took a chance on working with someone I had never met before and I'm so glad I did. I absolutely love how our photos turned out! And today I've got a giveaway that I'm excited to share with you. 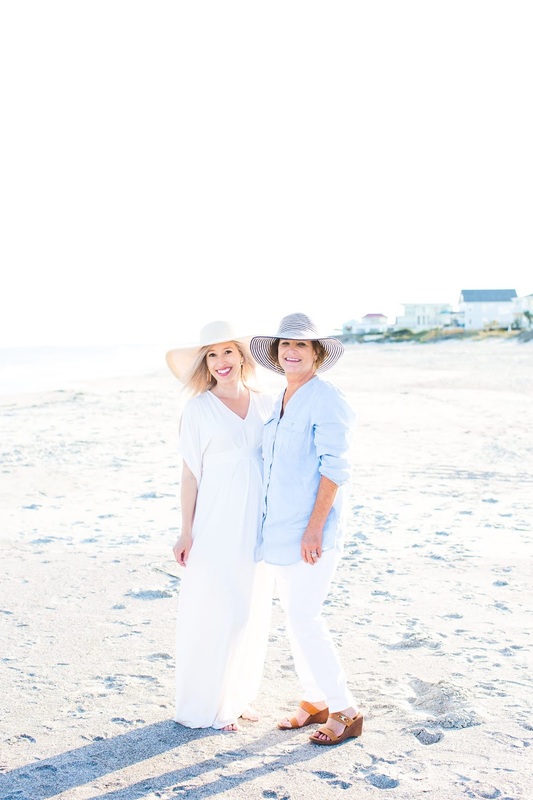 Meredith is offering a free styled portrait session ($400 value) for up to a family of four, taking place in the surrounding lowcountry areas (Savannah, Tybee, Beaufort, Bluffton, Charleston). Head over to my Instagram feed to enter! these are stunning!!! you look so gooooood! !